For those visiting all of the beauty that Northern California has to offer your journey often begins at one of the Bay Area’s major airports. A hub of many domestic and international airline carriers, the Oakland International Airport (OAK) is a gateway to Northern California for visitors from around the country and the world. Many of our clients here at Apex Limousine Transportation use OAK airport as their go to airport when flying into Northern California. To meet the demand for our airport limousine services we are now offering comprehensive limousine services from OAK to the Napa Valley and Oak to the Sonoma Valley. The Napa Valley is of course the premier vinicultural capital of the entire United States. With wine production dating back to the late 19th century the conducive climate and incredibly lush land has made the Napa Valley one of the best wine producing regions in the world. Although Prohibition eroded the growth of the Napa Valley considerably during the early part of the 20th century the 1970s saw the resurgence of the Napa Valley. When wine makers brought their Napa Valley wines to the Paris Wine Expo in 1976, Napa Valley once again asserted itself as a top tier region for wine production. In a blind taste test Napa Valley wines beat out the best of French wines. This caused an explosion in the number of wineries in the Napa Valley over the next 25 years. Alongside these incredible wineries came an upsurge in restaurants many of whom focus on local, fresh, California cuisine. Many of these Michilen rated restaurants are the best in the United States. The Sonoma Valley is also a destination worth exploring. First and foremost the Sonoma Valley is the oldest wine producing region in California. It’s deep roots in the world of wine production give it a unique history. The Korbel winery among others has solidly produced wines throughout the 20th century and is currently one of the largest wine producers in the country. The beautiful Sonoma Valley spans across many different bio-regions and has a little bit of everything. Whether you are interested in seeing the coast or something much more rural, the Sonoma Valley has wineries all over. Much like the Napa Valley, the Sonoma Valley also has a number of Michilen rated restaurants that have world-wide recognition. No matter what it is you wish to explore the Sonoma Valley has the best of it all. Here at Apex Limousine Transportation it is our goal and ambition to open the doors of Napa and Sonoma to as many visitors as possible. 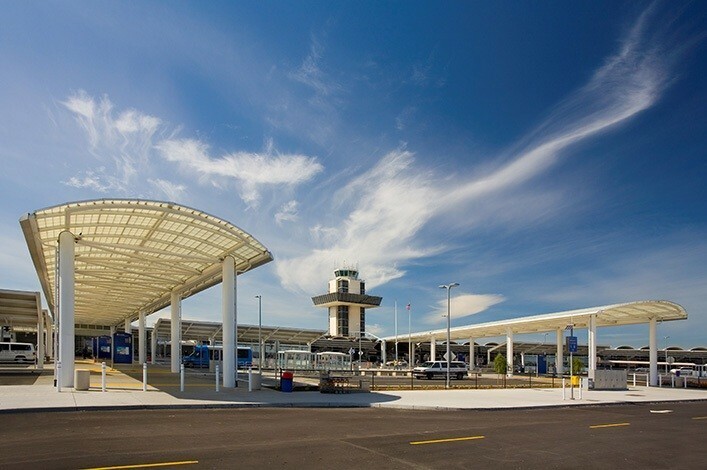 For those who are flying into Oakland International Airport (OAK), our Oakland airport transportation is the perfect way to begin your adventure. Here’s how it works. We start by coordinating directly with you – we keep track of your flight number so we always know the exact gate you are arriving at, the airline and of course the landing time. We check into the flight data bases in real time to ensure that we are aware of any cancellations or delays. One of our professional Oakland airport transportation limousine drivers will drive one of our new model vehicles to OAK airport and pick you up in the designated pick up area. From there we will drive from Oakland airport to Napa. We can take to any of the destination in Napa or Sonoma of your choosing. This way you can immediately begin your exploration and journey into the Napa Valley or Sonoma Valley from the moment you exit OAK airport. When one of our limousines picks you up at OAK airport it will be fully equipped with a sound system to ensure maximum luxury. We know how stressful Oakland airport to Napa valley traveling can be and for this reason we at Apex Oakland airport transportation make sure our limousines are ready for you immediately when you land at OAK airport. Our OAK to SFO limo driver will take you and/or your party on a beautiful drive through the Bay Area into one of Northern California’s most esteemed and beautiful wine producing regions. At Apex Limousine Transportation we also offer wine tours in Sonoma and Napa for our guests who are arriving OAK to SFO. For those who are arriving early enough in the day and have the energy we offer comprehensive wine tours the day of a pick up at OAK or SFO airport. Our limousines will take you to the wineries and restaurants of your choosing. For those who are visiting Sonoma or Napa for the first time we can customize a fun and educational limo wine tour for you. If you are interested in a wine tour but not on the day you arrive at OAK or SFO airport, we can also offer our full limousine winery tour services during any point in your stay in Sonoma or Napa. We can begin where ever you are staying in Sonoma or Napa and bring you on a full winery and restaurant tour in one of our limousines. With deep roots in Sonoma, Napa and Northern California Apex Limousine Transportation is the best limousine transportation provider the wine country has to offer. We always go the extra mile when picking up or dropping off our clients at Oakland International Airport (OAK). Our limousines are consistently refurbished and our drivers go through rigorous tests to ensure your safety every single time. So when in need of airport transportation from OAK to Sonoma or OAK to Napa give Apex Limousine Transportation a call. Call us Today and start planning your vacation!